ALVA, Okla. – The growing legacy that is the Northwestern Oklahoma State University men’s rodeo team has been a key factor in drawing top athletes to Alva. That’s exactly what prompted Bradley Ralph to transfer from Coffeyville (Kansas) Community College prior to the fall 2018 semester. 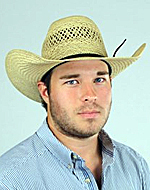 Over this past weekend, he proved just why it was a valid decision by earning a share of the steer wrestling title at the Garden City (Kansas) Community College rodeo. The comforts of home have become beneficial. In western Kansas, he parlayed a solid 5.1-second run in the opening round – worth fourth place – into a fantastic finish. He won the championship round with a 4.4-second run, and shared the overall title. He was the big winner for Northwestern over the weekend. While he finished second at the first rodeo of the season in Colby, Kansas, this was his first victory as a Ranger. He was joined in the short round by Jace Rutledge, a sophomore from Harrisonville, Missouri, who finished second in the long round but failed to finish among the top six overall. “It means a lot to be a bulldogger at Northwestern,” Ralph said. “Stockton’s a pretty good coach, and there have been a lot of guys that come out of here because of that. I’m just trying to be one of them. That’s been a key ingredient for all members of the rodeo team. Each individual understands the work ethic it takes to succeed at the college level. The goal is for both the men’s and women’s teams – as well as having as many individuals as possible – qualify for the College National Finals Rodeo. In order to do that, the teams must finish among the top two and individuals need to finish in the top three in each event to advance out of the Central Plains Region. Doing well at the final three events of the 2018-19 season is imperative. There are three weekends remaining: at Fort Hays (Kansas) State University this coming weekend; at Southwestern Oklahoma State University in Weatherford, Oklahoma, the weekend after that; and at the Oklahoma Panhandle State University rodeo in Guymon, Oklahoma, to close out April. 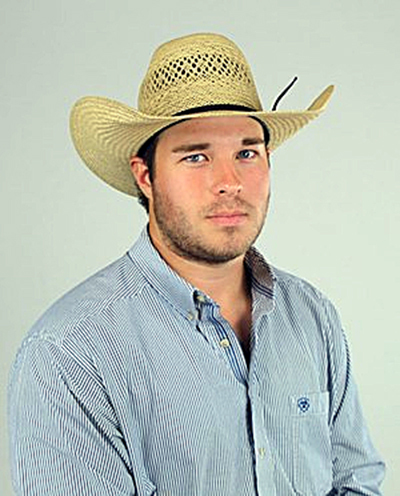 Tie-down roper Ethan Price of Leedey, Oklahoma, got some needed points in Garden City, finishing sixth in the first round, second in the short round and third overall. He was joined by Sean Doherty of Kim, Colorado, who won the first round, was fifth in the championship and finished fourth overall, and Riley Wakefield of O’Neill, Nebraska, who placed in the first round. Wakefield also placed in the first round of team roping with his partner, Denton Halford of Southeastern Oklahoma State University. The top tandem for Northwestern was header Kelton Hill of Canadian, Texas, and his partner, Jayden Labhaun of Follett, Texas, who placed in a tie for fifth in the first round, finished fourth in the short round and placed third overall. Heeler Tanner Nall of Colcord, Oklahoma, won the first round with his partner, Ethan Griffin of Northeast Oklahoma A&M; they also finished sixth overall. Header Taylor Munsell of Arnett, Oklahoma, won the short round with her partner, Ean Price of Garden City, and finished fourth overall. The Northwestern women were led by Ashlyn Moeder of Oakley, Kansas, who placed in a tie for third place in the first round of breakaway roping, then finished fourth in the short round and average. Morgan Kessler of Callaway, Nebraska, was sixth in the opening round, second in the short round and second overall. Moeder also collected points in barrel racing. She finished in a tie for fifth place in the short round and in a tie for sixth overall. For Ralph, it comes down to basics and handling his business. He said he’s obtained the focus he needs as he prepares to close out this season.